Laboratory groups are often compared to families, complete with extensive ancestral trees. 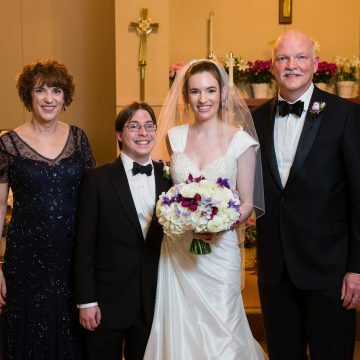 Discover how Marianne Bronner’s lab members tap into their connections as they advance in their careers. “My grandfather was consumed by what he was doing,” says Caltech Associates member Sam Hale, now 75 years old and living in Santa Barbara. 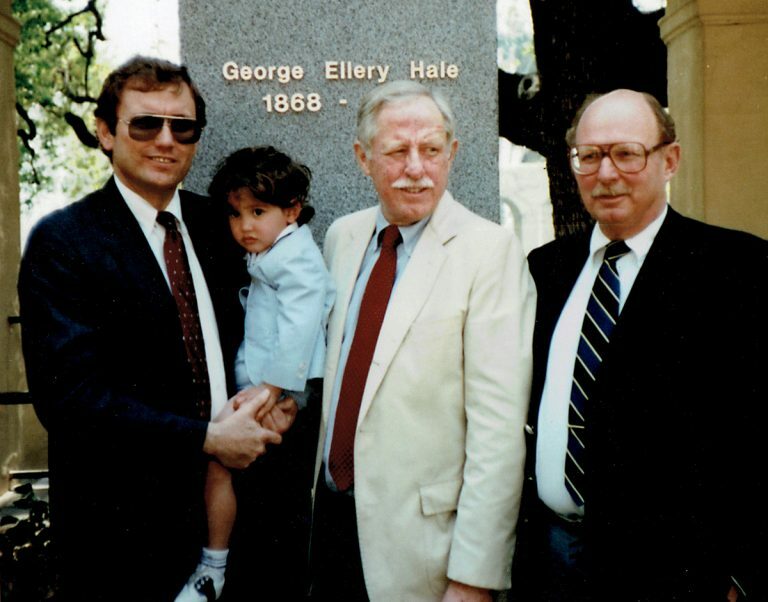 His grandfather—George Ellery Hale (1868–1938), who developed world-leading observatories and co-founded Caltech—fascinates him, although they never met. In good company (from left): FSRI students Andrea Hands Arocha, Ruy Gonzalez Hermosillo, Matthew Alexander, and Julian Sanders pose with Albert Einstein (in bronze) at Griffith Park Observatory. Mentor Naima Sharaf (left) and Krystin Brown conducted research in the lab of Douglas Rees, Caltech’s Roscoe Gilkey Dickinson Professor of Chemistry. 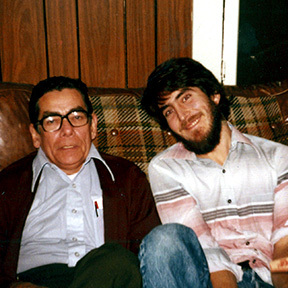 Federico Echenique (left) served as a mentor for Ruy Gonzales Hermosillo. 2017 FSRI participant Kali Drango (left) worked with Astrid Lamberts, a postdoctoral researcher in the theoretical astrophysics group (TAPIR) at Caltech. Getting settled in for Ruy Gonzales Hermosillo (right) and fellow FSRI students Eunice Yoon (front) and Emma Qian involved learning about counseling services, campus resources, and how to properly wield a foam sword. Kali Drango (aloft) felt well supported by fellow classmates (from left) Nicholas Clausen, Kevin Winzey, Sergio Escobar, Jeremiah Dibble, Alex Guerra (in back), Spencer Schneider, Elaine Lowinger, and Krystin Brown. Naima Sharaf (center) joined fellow mentors and FSRI alumni to round out the audience. More than half of Caltech’s undergraduates conduct research within their first year, and a few immerse themselves in Caltech’s culture of exploration and discovery even before the academic year commences. In summer 2017, 20 incoming students honed their math skills and engaged in research through Caltech’s Freshman Summer Research Institute (FSRI). These science-minded scholars lived like a family for five weeks: They slept under one roof, ate meals together, and learned from those who came before them. Working toward a future when scientists and engineers better reflect society’s diversity, FSRI introduces students from underrepresented and underserved backgrounds to math, research, and support services at Caltech. The program pairs each participant with a faculty member, postdoc, or grad student who designs and oversees a five-week research project. 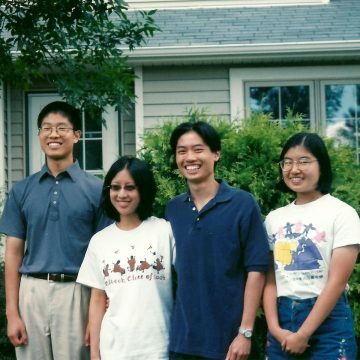 In this story, three mentees describe how they felt stepping into the Caltech community, and three mentors explain how they welcomed them. Incoming freshman Krystin Brown worked with postdoc Naima Sharaf, who studies the biological and chemical properties of molecules and atoms using x-ray crystallography and nuclear magnetic resonance spectroscopy. Why did Naima volunteer to be an FSRI mentor? Personal experience also inspired Federico Echenique, Caltech’s Allen and Lenabelle Davis Professor of Economics, to become a mentor. Federico developed a project for FSRI participant Ruy Gonzales Hermosillo involving analysis of the National Resident Matching Program’s algorithm for placing medical students into hospital residency and fellowship positions. Postdoc Astrid Lamberts designed a research project for FSRI mentee Kali Drango to trace back where stars form and mergers happen by combining data collected from optical telescopes with new insights gleaned from LIGO’s detection of gravitational waves. “To do your best work, it’s important to feel that you are surrounded by reasonable, friendly people you can turn to for help,” Astrid says. “Working with others, whether I was doing research with my mentor or problem sets with my friends, I came to see everyone’s strengths—including my own,” Ruy says. “If I had a question that my mentor wasn’t available to answer, I knew all I had to do was walk down the hall—doors were open and people were happy to help,” Kali recalls. At the end of the five-week program, FSRI classmates delivered TED Talk-style presentations about their research to their mentors and peers. Corporate and private donors help support Caltech’s goal to diversify the STEM graduate pool and workforce. This year’s FSRI cohort of 20—the largest to date—was sponsored in part by a grant from Johnson & Johnson that aims to increase participation of women in medicine and technology development. Beyond Caltech’s Center for Diversity and Student Counseling Services, people across campus have rolled out their welcome mats for members of the class of 2021, who cleared an all-time low admit rate of 7.7 percent. Because as soon as you get in, you belong. How much do we know about planets orbiting other stars and their ability to harbor life? Learn about the common characteristics that scientists have uncovered and how Professor of Astronomy Andrew Howard’s research aims to reveal even more about exoplanets. 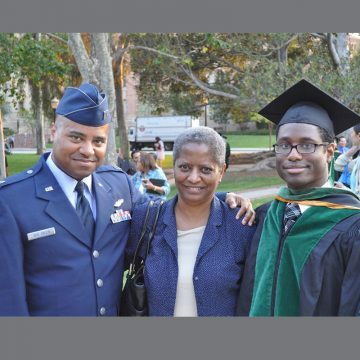 Alumni talk about what it’s like to share the joys, rewards, and battle scars of a Caltech education with a relative. 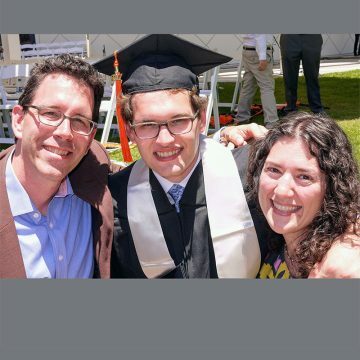 “Halfway through Harrison’s freshman year, he called John and me and asked why we didn’t tell him how hard Caltech is. We had tried, but it’s kind of indescribable. 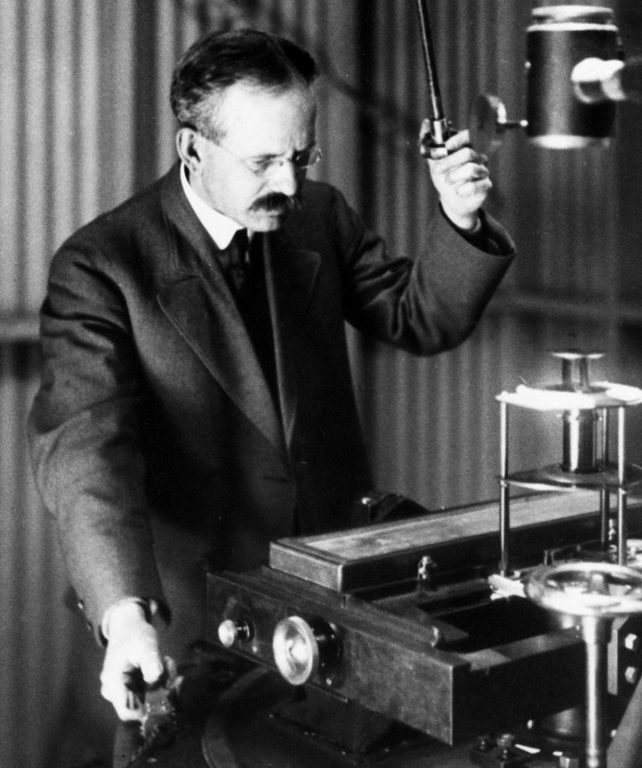 George Hale came to Pasadena in 1904 to found Mount Wilson Observatory—foremost in the world for half a century. Three years later, this man of many visions joined the board of Throop Polytechnic Institute, seeing an opportunity to transform the local trade school into the future Caltech. “He had an idea for creating a school of science and engineering in the West that would include a humanities curriculum to help the scientist become a complete person,” Sam Hale says. 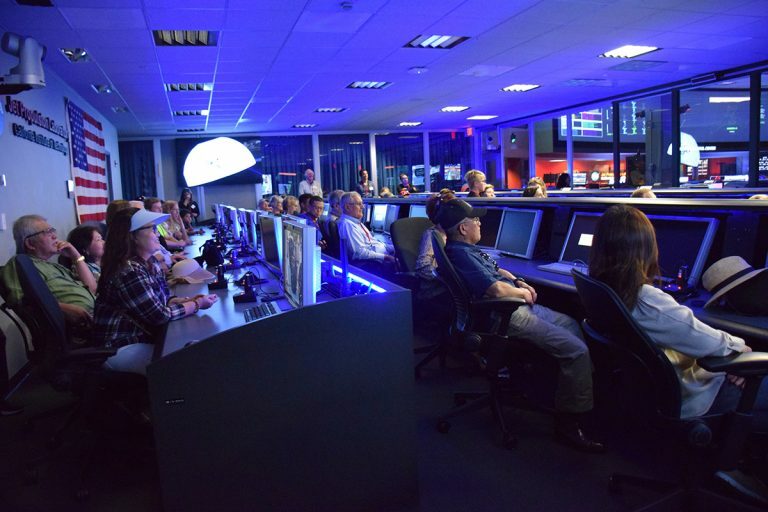 Today, Sam Hale helps sustain his grandfather’s vision by chairing the board of the Mount Wilson Institute, which manages the famous observatory. He and his wife, Sylvia, also belong to the Caltech Associates, a vibrant organization George Hale helped found. “One of my grandfather’s most notable accomplishments was being such a good communicator of his vision and why it was important,” says Sam Hale, who learned about his grandfather through his parents’ stories and his own reading. In advocating his plan for Caltech, George Hale drew eminent MIT chemist and passionate educator Arthur Amos Noyes to Pasadena in 1913. 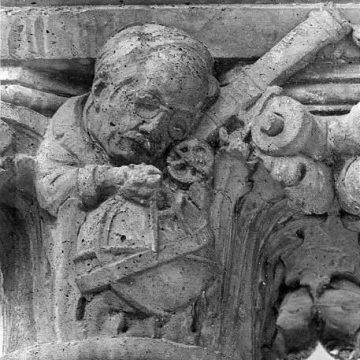 Noyes would establish the iconic core curriculum that gives Caltech undergraduates a fundamental understanding of the major branches of science and of the humanities. The pair’s vision attracted renowned physicist Robert Andrews Millikan to campus full-time in 1921. 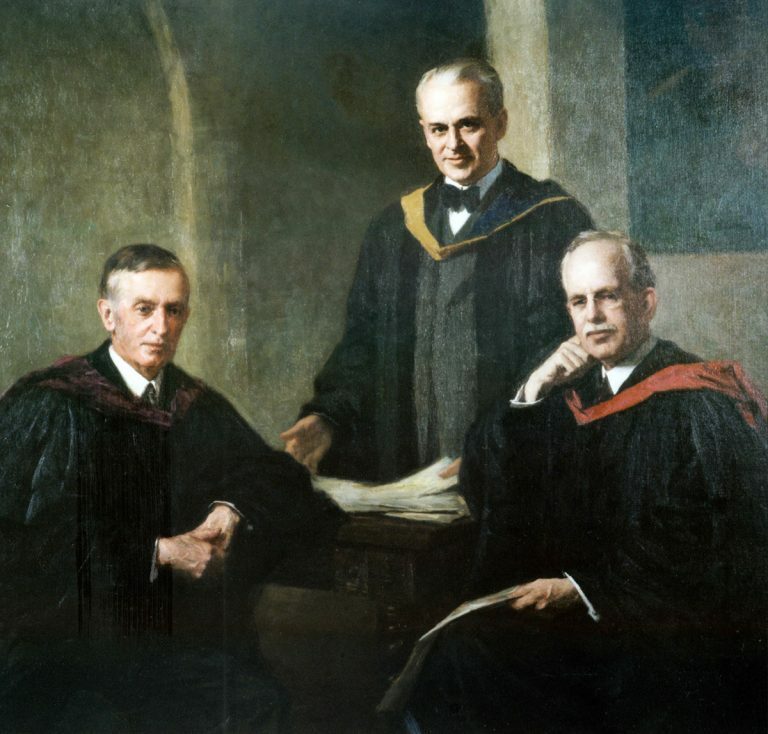 These three, with Millikan at the helm, propelled Caltech to global prominence within the decade. If you’ve ever gotten lost at Caltech—say, landed in a courtyard when you were looking for a wet lab—you can thank George Hale for that, too. To thwart that tendency, he hired celebrated architect Bertram Goodhue to draft a campus plan that intermingled laboratories, humanities buildings, museums, gardens, and gathering places. Hale, Millikan, and Noyes knew that Caltech would need support beyond its small community of scholars and alumni. 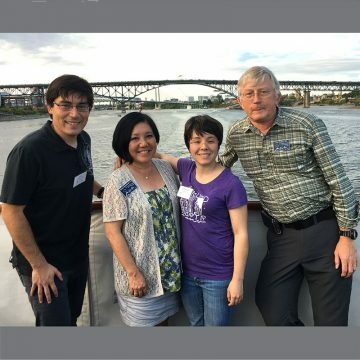 And they had personally observed that business leaders enjoy connecting with people at the forefront of science and helping expand human knowledge. So, in 1926, Millikan convened a group of 100 prominent Southern Californians, each of whom pledged significant annual support for Caltech. Today, almost 2,000 Associates continue to advance Caltech’s effort to create knowledge and improve the human condition. Caltech Associates have endowed scholarships, fellowships, professorships, and an educational innovation fund to help students and faculty aim high and make world-changing breakthroughs. Members have helped fund the construction of 37 campus buildings. One of their proudest contributions is Caltech’s Athenaeum, another brainchild of George Hale.